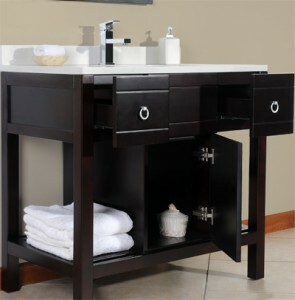 The Valore 915 bath vanity set embodies how two styles: traditional and contemporary can be matched in perfect balance and harmony; creating a look that is beautiful, practical and timeless. 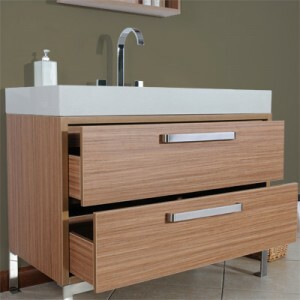 Making use of clean straight lines to keep the design simple, Valore’s designers added a few subtle touches to bring out a slight traditional character such as the brushed steel ring pull, recessed side paneling and a T-shaped cabinet body with open sides for visible storage. 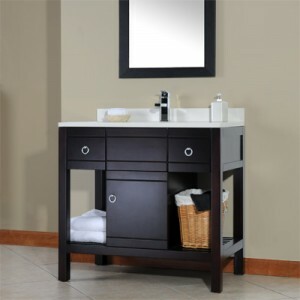 This handsome vanity set features solid wood materials in a unique5-layer dark mahogany finish. 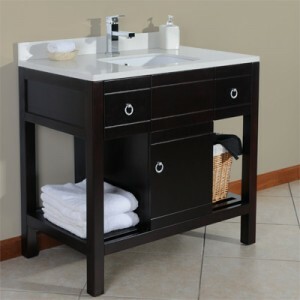 Two spacious drawers are perfect for storing your everyday toiletries and the large center cabinet has plenty of space for larger items. 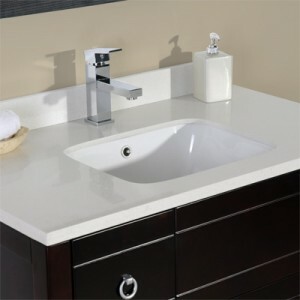 The Valore 915 comes with a solid quartz stone vanity top with a 3-inch backsplash. 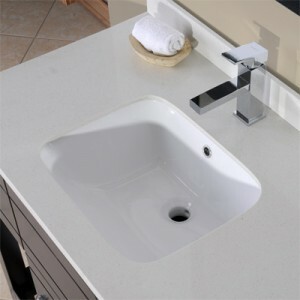 This quartz stone material is typically used in high-end designer remodeling projects. 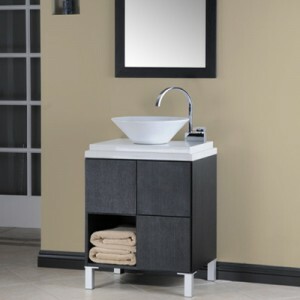 Lastly, a specially-shaped porcelain sink gives the vanity the perfect finishing touch making this set an eye-catching addition to any bathroom.